The goal of Castellino Prenatal and Birth Training is to make Prenatal and Birth Therapy available to the world community for children, adults, and especially for babies and new families with the highest possible integrity, efficiency and compassion. Dr. Raymond F. Castellino facilitates people of all ages to resolve and repattern prenatal and birth trauma imprinting. This includes facilitating babies and children in the family setting and adults in individual and small group settings. He also offers phone support for parents, adults, and professionals seeking supervision. He works both alone and together with midwife Mary Jackson. In addition to working with people and their families himself, Dr. Castellino also offers educational services to train others in these skills. His educational services include a two-year (48-day) Foundation Training, as well as numerous presentations and seminars both locally and worldwide. Enter your name and email address below and click "Subscribe" to be added to our mailing list. Recipients of this list receive periodic updates about upcoming Process Workshops and other events at Castellino Training. Definitions of blueprint energies, imprints and sequencing imprints. How to identify Sequencing Imprints. How Birth influences Sequencing Imprints. An introduction to the Somatic Blueprint as the primary resource for integrating energy that is locked up in adverse pre and peri-natal imprints. How to reference Somatic Blueprint energies to integrate energy that is constricted in imprints. Session video that shows sequencing imprints. How sequencing imprints affects interpersonal relationship dynamics. How to establish co-regulated states that open the social nervous system and social energetic fields. This workshops is designed for professionals and non-professionals alike, who are wanting to know more about how pre and peri-natal experiences profoundly influence how we feel about ourselves, how we perceive others and how we behave. Opportunities for graduates (and almost graduates). Contact for these is Cindy. Email. Phone: 541 991-6217. ONLINE SUPERVISION with Ray Castellino. Meet one Thursday a month for 2 hours. 2 supervision groups are available to assure that teacher/students are not in the same group. Limited to 8 people. Sign up for a 4-month segment. Open to Foundation Training and Body into Being Graduates/Participants. Next round Feb 28, March 28, April 25, May 23. FAMILY PRACTITIONER TRAINING with Ray Castellino, Mary Jackson, RN, LM, RCST® and Tara Blasco, Ph.D., RCST®. Plus 9 monthly 2-hour online meetings starting in June, 2019. These will be tapes available to participants who are not able to attend every online call. 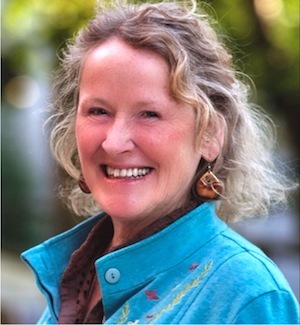 Mary is a home-birth midwife with decades of experience who has integrated Ray’s work and craniosacral work into her practice. Tara co-directed the BEBA family clinic in Ojai with Ray. Ray, Tara and Mary teach the Foundation Training together in the US and Spain. Mary teaches extensively in Europe. Both Mary and Tara are certified Womb Surround Facilitators and are on the BEBA Board of Directors. Tara co-directed the BEBA family clinic in Ojai with Ray. Ray, Tara and Mary teach the Foundation Training together in the US and Spain. Mary teaches extensively in Europe. Both Mary and Tara are certified Womb Surround Facilitators and are on the BEBA Board of Directors. Consciously Parenting & About Connections, with Rebecca Thompson, Ray Castellino, and Mary Jackson, are thrilled to present a 4 part audio series web-seminar on Infant and Toddler Sleep. You are invited to go to http://www.consciouslyparenting.com/ondemand/LPBC to find out how you can hear this program. Ray Castellino and midwife Mary Jackson are teaming up with Rebecca Thompson of Consciously Parenting to share cutting-edge information that brings scientific research to you in ways you can actually use in your parenting. These audio interviews will cover some of the most popular parenting topics. The first of these classes, Infant and Toddler Sleep, is available online for free, and more are currently in production. On September 24th, 2009, Dr. Ray Castellino was interviewed by Chloe Faith Wordsworth of Resonance Repatterning on her internet radio show. You can listen to the show online for free (scroll down to #43, "From Birth To Breast"), or purchase a transcript for $12.00. Dr. Castellino developed the Womb Surround Process Workshop for small groups of adults. He had discovered and developed clinical approaches and skill sets that carry over to family work with children and are applied in both Womb Surrounds, BEBA Family Sessions and in About Connections. As such BEBA, About Connections, the Womb Surround Process Workshops, Professional Training. Body into Being and Community outreach seminars and workshops constitute wings of integrated pre and peri-natal delivery and educational system. These innovations include the Castellino 7 guiding Principles for small groups and families. These principles are cornerstones for the creating safety and high level function and optimal growth of babies and children in the context of relationships in their families. He has developed a teachable method for working with families and small groups of adults as an energetic relational field. This innovation is a major game changer for facilitating families and adults in a relational social nervous system field. 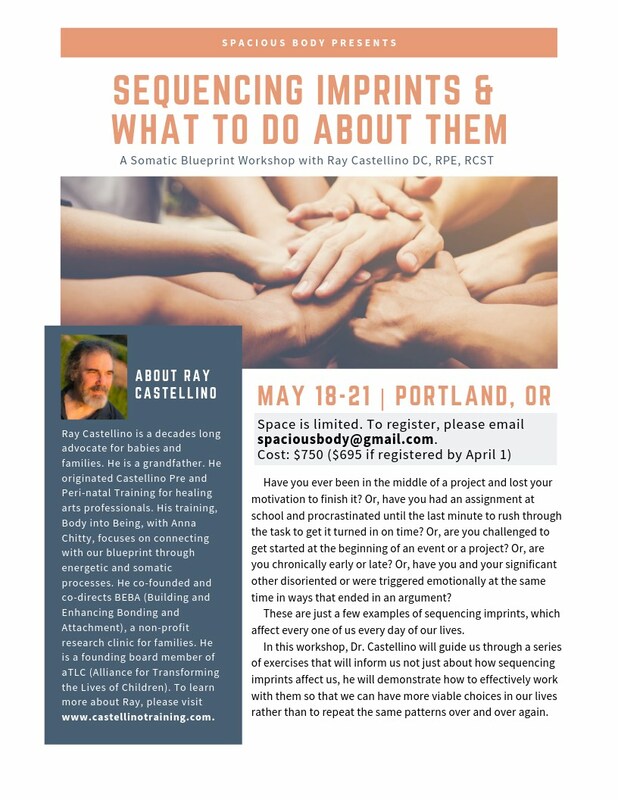 He has developed approaches that support families and small groups of adults to efficiently and safely evolve into harmonic resonance and co-regulated states while supporting individuation and differentiation at the same time. Together with Mary Jackson home birth midwife they have developed a system for evaluating the needs of pregnant mom’s, their babies and the father that involves establishing “two layers of support” to the baby, the mother, the father and also the birth team. They have clinically discovered that when the layers of competent support are in place the mother and baby are free to find the impulses they need to birth from the inside out. He has worked with the primary rhythms of families and small groups of adults, has discovered and continues to do ongoing clinical research on the slow rhythms that govern coherence and high level attunement in relationships. Currently he measures this rhythm to oscillate at 5 minute cycles. This rhythm is substantially slower than the Tidal Rhythms as defined by the Osteopathic and Craniosacral healing disciplines. He calls these slow occulting rhythmic cycles, “relational field cycles,” and observes that the relational field cycles govern the innate knowing of birth, bonding and attachment. He has developed a series of protocols for facilitating families and small groups when the families or groups manifesting “double bind” paradoxical energies. These protocols are self-published as part of his professional training manual available to trainees in his professional trainings. Ray is doing ongoing research on the manifestation of “sequential behavioral patterns” that originate from “sequential imprinting” from ancestral, conception, gestation and birth experience. He has developed numerous integrated somatic/psychological approaches for discovering how all beings implicitly remember early pre and perinatal experiences. Some of these include facilitated movement, supported attachment, dynamic creative opposition, dynamic squeeze. 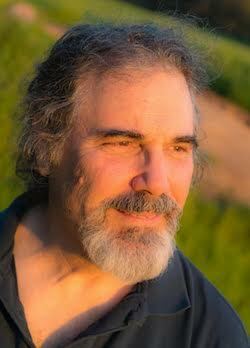 Lastly, with his work with Mary Jackson, Tara Blasco and Anna Chitty he has developed and discovered several ways to anchor into universal resourced states that he and Anna Chitty refer to as the “Blueprint Energies.” These blueprint states of consciousness provide a basis for gently and safely discovering early imprint implicit somatic memories through intention, the co-regulation tempo, movement in highly cooperative relational fields and connected social processes. These approaches are all applicable for pre-nates, mothers, couples, families and small groups of adults and form the basis for his work in BEBA, About Connections, Womb Surround Workshops, his Foundation Trainings, Body into Being and other professional seminars. He is co-founder About Connections with home birth midwife Mary Jackson, where they prepare families for birth, support the birth process, do follow up integration. The methods they have developed has reduced home birth transfers to the hospital from 20% to 3% in over 100 births. They also work with families and individuals of all ages to resolve the effects of early imprinting. He is the Clinical Director of BEBA (Building and Enhancing Bonding and Attachment), a non-profit research clinic in Ojai, CA devoted to strengthening the bonds between babies/children and their parents and optimizing children's physical, emotional and mental development. He co-teaches a 5-module training with Anna Chitty, RPP, BCST, SEP, ABD Body into Being: Understanding and Facilitating Attachment through Somatic and Energetic Processes. 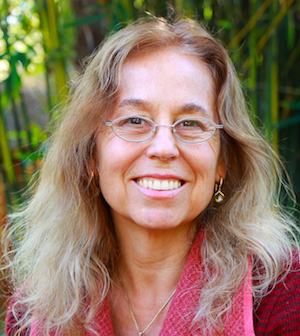 Dr. Castellino is a frequent presenter at national and international conferences including the Association for Pre- & Peri-natal Psychology and Health, the American Polarity Therapy Association, the Craniosacral Therapy Association of North America, and others. He was a founding board member of the Alliance for Transforming the Lives of Children. He has been practicing and teaching in the healthcare field since 1970, and offering prenatal and birth therapy since 1993.